GasGas raises the bar with the launch of its new, exclusive Trial GP 2019. 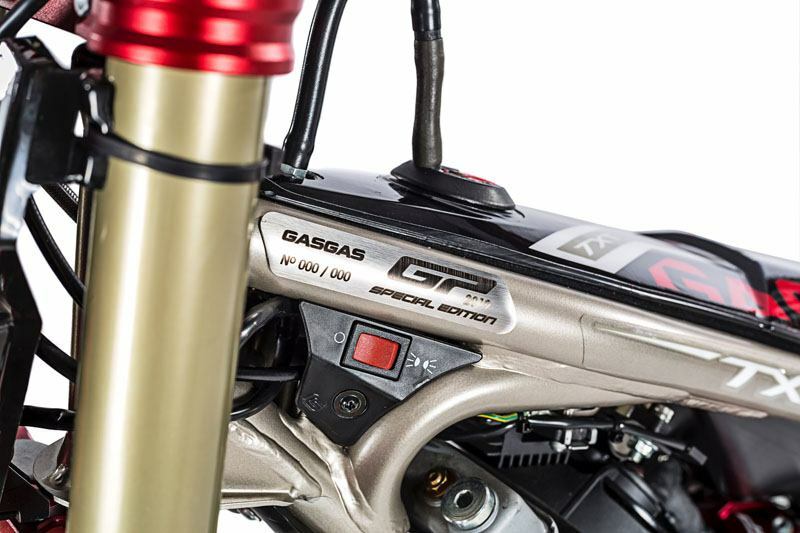 A dazzling, authentic competition trial bike inspired by the official bikes Jeroni Fajardo and Jaime Busto rode to give GasGas the power to make the huge leap into the top category of international trial. GasGas Trial GP 2019. 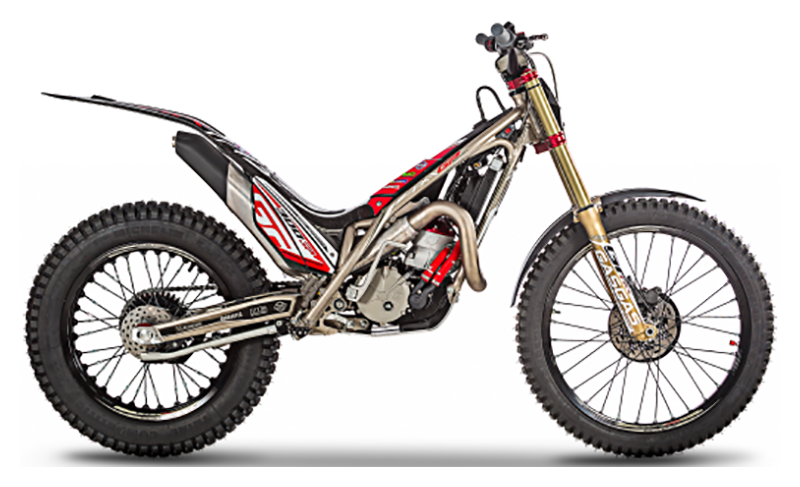 An impressive 'factory racing bike' that takes a step beyond the revolution experienced by the latest TXT Racing saga with the addition of an extensive list of racing parts that make it the best and the most prepared trial bike on the market. 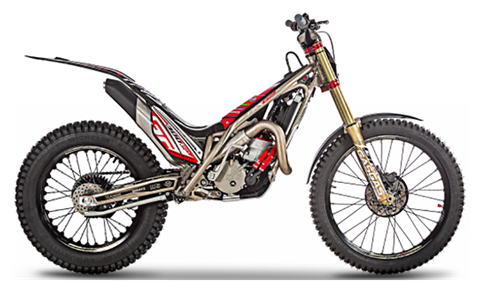 A surprising specification with high-end components of the very latest generation making this model an object of cult for lovers of trial. 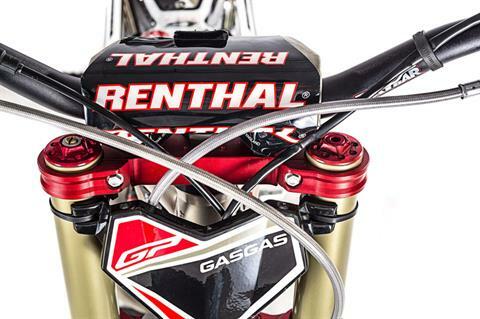 An exclusive Trial GP series with a limited production of 800 units in four engine capacities: 125, 250, 280 and 300 cc. 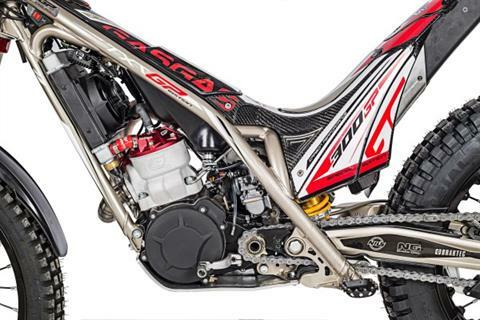 A POWERFUL, SUPER HIGH-PERFORMANCE ENGINE: The power of the Trial GP bike starts in its interior, with a high-performance engine that features crankshaft bearings to ensure the perfect lubrication of the assembly and also ensure it is totally hermetic. A change in its design now makes it possible to maintain the crankshaft seals easily and comfortably from the outside. 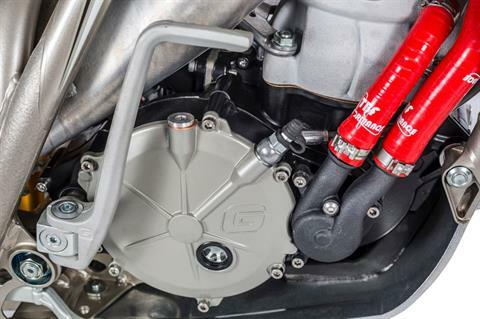 The incorporation of a cylinder head and inserts from the S3 company, together with the clutch and kevlar plates with three position variable preload, have increased the performance of the powerful GasGas engines even more. An authentic 'Grand Prix' version, as its initials denote, with stainless steel fasteners highlighting the racing look. 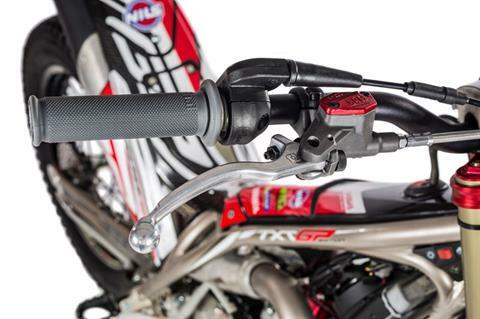 An edition that for the 2019 season incorporates a clutch cover, divided into two parts, which allows easy maintenance of the clutch plates. 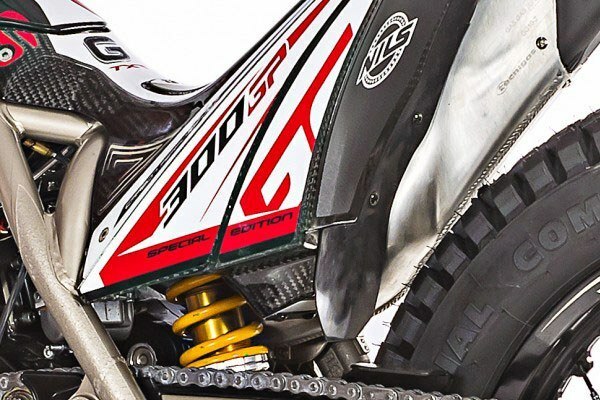 SWINGARM AND PROGRESSIVE LINK AT THE BACK-END: The changes with respect to its predecessor in the chassis and suspension form a long list of features that require careful reading if we do not want to miss any details. The first, evident on an aesthetic level thanks to the improvements in the chassis and engine, is reflected in its outward appearance, with an attractive, aggressive image dominated by black and red colours in order to accentuate the racing character of a model 100% ready for competition. 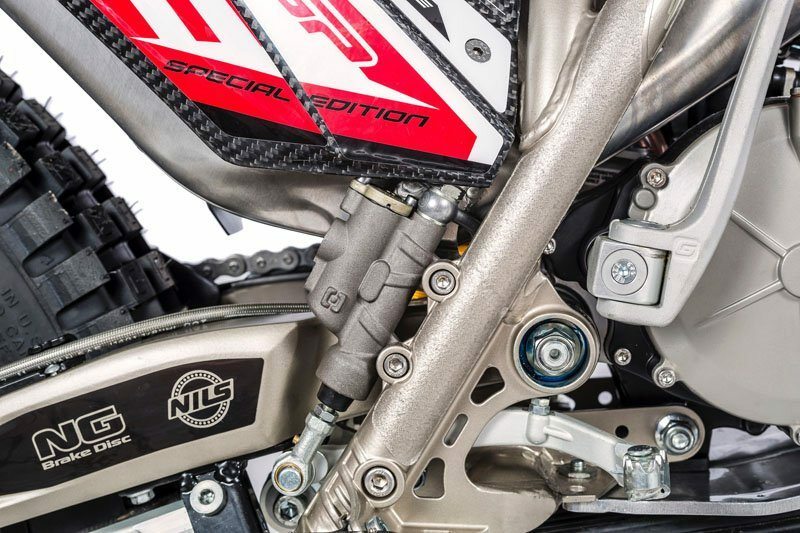 If we go into the more technical details, the rear suspension -as in the case of its stablemates from the TXT family- is the part that has seen the greatest transformation with respect to previous models, with the incorporation of the swingarm, now lighter and more effective, and the use of a progressive link system that, in combination with the effectiveness of the Öhlins shock absorber, has given the GasGas competition team such great results in the World Championship. 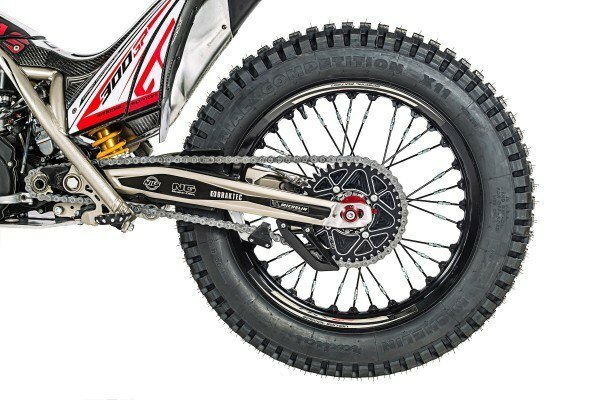 A profound renovation to which elements have been added, such as the chain guide, now easily removable without needing to disassemble the swingarm, and the easy-to-assemble chain tensioner, with bearings and greater protection. As well as the brake piston, FIM brake disc with guard, anchored directly to the brake calliper, and a guide for the rear brake hose, which has a crown protector. 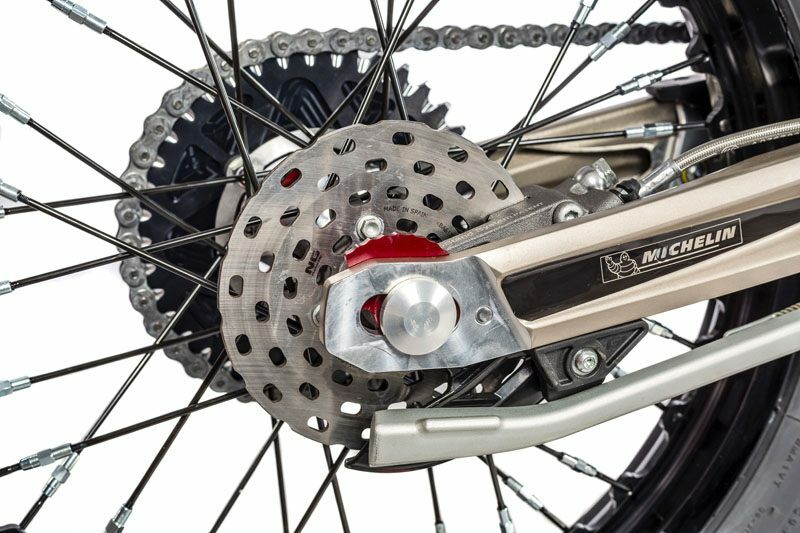 A complete back-end setup that must not forget the low-weight black competition rims used by the big stars of trial. 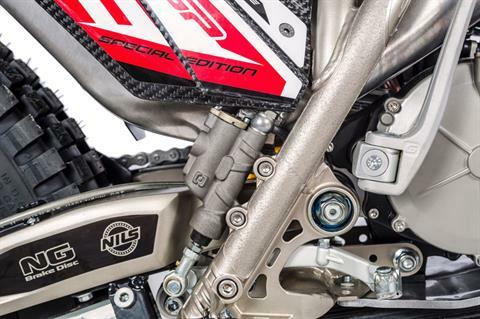 CARBON FIBRE FILTER BOX: The features in the chassis are also evident if we look at the improvements to the suspension, with a chassis-swingarm mounting. 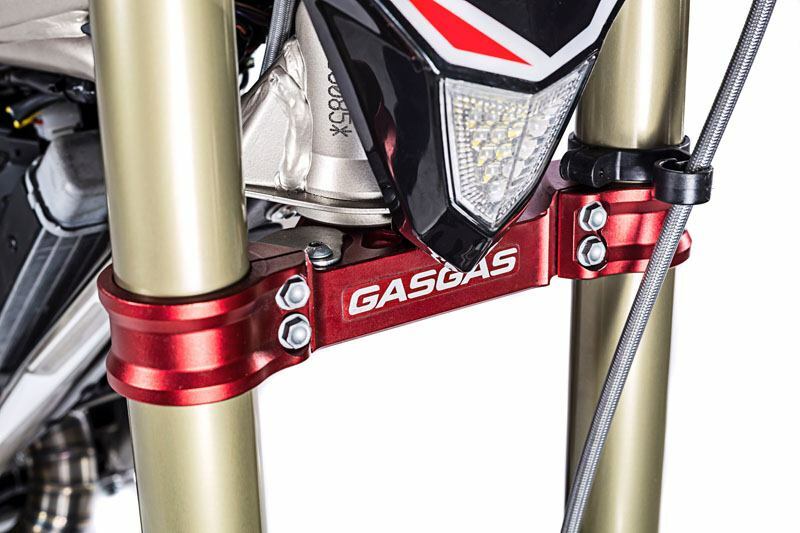 Details of quality and sophistication for GasGas TrialGP models with carbon fibre filter box and Hard Rock aluminium footpegs, with the 2019 edition once again highlighting its distinctive numbered stainless-steel plate. The unmistakable sign of being on an authentic race ready Limited Edition. Following on with the list of features and highlights of the GasGas TrialGP, if we focus on the front end, it is worth highlighting the front brake and clutch master cylinder assembly, and the design of the front mudguard.